Zlatan Ibrahimovic himself was a big part of the preparatory work for Jérémy Ménez victory goal in the game when he drove up the attack and served Thiago Motta who in turn pass to Ménez at the far end of the penalty area. The Frenchman was then ice cold when he put the ball in the right corner. The title marked the first triumph for PSG’s new club management who invested huge money to take the club to the top. Last summer was the biggest effort by, among others, Thiago Silva, Zlatan Ibrahimovic and Ezequiel Lavezzi purchased. The trio then delivered what was expected this first season. A solicitation of Zlatan usually supposed too, as you know, mean title guarantee. Since Zlatan Ibrahimovic left Malmö FF for Ajax in 2001, he has become champion his first season in every club he has come to. This year’s league title is Zlatan Ibrahimovics tenth title in total (including the two Juventus later stripped after the Calciopoli scandal). An unlikely dream limit. The ten titles have come in six different clubs spread over four different countries. An amazing hindsight on the twelve professional seasons striker made​​. For PSG, it was the third triumph in Ligue 1. They came earlier seasons 1985/86 and 1993/94. There have been a lot of rumors around Zlatan Ibrahimovic in the last month. Both the French and Italian media have placed Zlatan Ibrahimovic in Juventus. A speculation that hardly subsided when images from PSG’s golden celebration was broadcast. It seemed Zlatan Ibrahimovic ended up in a violent quarrel with sporting director Leonardo inside the locker room. According to Zlatan he was summoned to a doping control center during the celebration with his teammates. – I waited for 20 minutes but no one came to pick me up. Then when I wanted to celebrate with my team, they came and picked me up. I have been waiting for nine months on this, I wanted to be with the team. It was unprofessional, but nothing against Leonardo said Ibrahimovic. 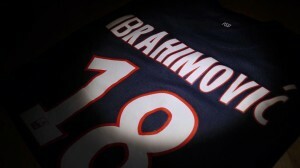 Now Zlatan Ibrahimovic also assures, despite all the speculation, he stays in the PSG for another season. – This is a good start at a new club. The future belongs to us. We can play better than this, if we can win the league like this. Only God knows what could happen then, says 31-year-old. – I have two years left on the contract and I am a professional and respectful of my contract. If nothing happens I will remain here, of course. Ibrahimovic signed a contract until 2015 when he left Milan for PSG last summer. This entry was posted in Paris SG on May 13, 2013 by Johan Bengtsson. Paris Saint-Germain traveled to Lyon yesterday afternoon, while second placed Marseille had to take three points against Toulouse to keep their theoretical chance at the league title to live on. When Carlo Ancelotti’s men in Paris Saint-Germain arrived in Lyon just before 19 it was clear that Marseille won their match 2-1 – and that the league is still alive. Tonight Paris Saint-Germain still has a chance of securing their first league title since 1994 if they beat Lyon away. – We have been waiting for this title a long time, it does not matter how we win it, says Carlo Ancelotti day before the match. Zlatan Ibrahimovic has a chance to bring home his tenth league title in his career. This is if we are including the two in Juventus 2004/05 and 2005/06 which the club was later taken away because of the Calciopoli scandal. In addition to the second season at Ajax (2002/03) and his last season in Milan (2011/12) Ibrahimovic has managed the feat of winning the national title every year during his professional career. This year seems to be no exception. – It’s very simple, Zlatan is a winner. He is incredibly professional and work hard. His goals are very clear, says Carlo Ancelotti days before the match. In a internatinell comparison Zlatan Ibrahimovic’s titles hindsight is already somewhat unique. If PSG manages to win tonight, Zlatan Ibrahimovic, along with permanent teammate Maxwell, step into an exclusive group of players who have won the league in four different tradition-bound soccer countries in Europe. But with a tenth league title (the two in Juventus included) Zlatan Ibrahimovic sails up in splendid isolation among modern footballer and is also the only one to have picked home league titles in six different clubs in Europe. – He came here to win something, to win their ninth league title. It’s amazing, he has an incredible track record, says Ancelotti. Despite the praises of Zlatan Ibrahimovic chose PSG coach Ancelotti not to nominate Zlatan for this year’s top player in the French league. This entry was posted in Paris SG on May 12, 2013 by Johan Bengtsson. Zlatan Ibrahimovic has won many awards, as an example Zlatan has won the Golden Ball seven times and the price for the best player in the series A thrice. Now, Zlatan Ibrahimovic is nominated for a new prize: the season’s best player in France. He has scored goals all season, 27 in total, and carried Paris Saint-Germain in the first months on their shoulders. Besides that Zlatan will in all likelihood, win both the league championship and top scorer, he can also take home a third price as this seasons best player in France. Together with Thiago Silva, 28, and Blaise Matuidi, 26, Zlatan is one of three PSG players who are nominated for the prize. The fourth and last player is Saint-Etienne’s goal scorer Pierre-Emerick Aubameyang, 23 that we have mentioned in this blog before. The Paris based team has a chance to win a grand slam, since they also have nominees in the other categories – Salvatore Sirigu as best goalkeeper, Marco Verratti as this years talent and Carlo Ancelotti as best coach. This entry was posted in Paris SG on May 9, 2013 by Johan Bengtsson. Leonardo risk getting a ban from soccer for 1 year and PSG may suffer points deduction. All after Sunday evening’s famed Leonardo tackle attack in players tunnel. But sports director Leonardo defends himself and says now that he was pushed into the referee Alexandre Castro. – I was the one who was attacked and I will request that the match delegate is turned off, he says. After the final whistle the PSG’s sporting director rushed into the playing tunnel to confront the referee. On the television pictures it looked as if Leonardo gave Alexandre Castro a tackle. Something he now denies. – I wanted to talk to the judge. There stands a delegate who pushes me into the judge. That was how it happened, he told Le Parisien. – I ask you to look at the pictures in slow motion. The images showed at Canal Plus is a bit strange, he continues. According to l’Équipe yesterday Leonardo risk being penalized for the confrontation. He is called to a meeting with French Football Federation’s Disciplinary Committee and may be banned after this meeting. PSG could also suffer point deductions – which would be disastrous in the club’s title chase. This entry was posted in Paris SG, Videos on May 7, 2013 by Johan Bengtsson. One hand on the referee Alexandre Castro’s breasts was enough for Castro would show a red card for Thiago Silva in PSG’s league match against Valenciennes. – He puts the hand on the referee. Something else I can not see. He lays his hands on the referee and the referee chooses to take direct red card. But as the situation arises, a little common sense why the red card? It is not an aggressive act, says expert Hasse Backe on TV4 Sport. In the stands sat Marco Verratti, David Beckham and Salvatore Sirigu, all suspended after being given an red card in the previous round meeting with Evian. They then got to see Thiago Silva face the same fate after the incident in the match. Whereupon PSG players protested vigorously. – I can buy it in a different situation but it is not associated with any event or any brawl. The game started with the guests who had already surprisingly taken the lead. After 17 minutes, Valenciennes came on the left side of the field as Gaël Danic scored 1-0 on the goal keeper. With a man less PSG was unable to, despite a leash by chance, to turn the match. Zlatan Ibrahimovic had a really nice chance when he shrugged off two defenders but the shot only went off the far post. In addition to the league leader had several fine finish at corners and it was that way Alex finally got the equalizer. But there was only one point, which means that PSG now leads the league with seven points ahead of Marseille with three rounds remaining. Marseille’s hope is PSG now primarily lose the next league match against third-place Lyon. A match the Paris team is forced to play without suspended Thiago Silva, Marco Verratti and Salvatore Sirigu. – They surely can not? Or they can, writes chasing Marseille’s Joey Barton on PSG on Twitter. Zlatan continued protests against the referee team after the final whistle and was warned then. – You want to shine for the cameras, said Zlatan to the referee. This entry was posted in Paris SG on May 6, 2013 by Johan Bengtsson. Since 1994, Paris Saint-Germain has been waiting for a league title. From the result of yesterdays game PSG have to wait at least another week. The setback, 1-1, at home against Valenciennes makes the battle for the first postion in the league lives on. The home meeting against Valenciennes was supposed to give PSG nine-point lead over Marseille with just three rounds remaining of the French league. Thanks to superior goal difference Zlatan Ibrahimovic and his teammates in principle were able to start celebrating league victory if they would have won in Sunday’s home game. Instead, they only managed to rescue a draw in what was becoming a real splendor fiasco. The team was also heckled by the fans after the final whistle. PSG dominated the meeting in total but Valenciennes Gael Danic scored already in the 17 minute, and a highly dubious red card for Thiago Silva just before half time meant that PSG was in trouble. Silva went to the judge in connection with a kick and touched the referee, which resulted in that the judge gave Thiago Silva the red card. By then, PSG had a couple of sharp chances, Silva had nicely played the ball to Zlatan who lobbed the ball over the goalkeeper but then chose to kicking the ball to the Argentine Lavezzi. He did not manage to take control of the opportunity. Despite the red card PSG dominated the match in the second half. Zlatan Ibrahimovic had a great chance in the 73rd minute but his shot from outside the goal area missed. In the 83rd minute Alex could score the equalizer. PSG went for a victory goal but had to settle for a draw. The risk is now that a decision is delayed further. Next weekend PSG is playing in the league against third-place Lyon in a difficult away game while second placed Marseille face Toulouse and can keep the league alive further. Very little, however, suggests that league victory to go past the PSG. PSG has however in the second to last round left to face the jumbo team Brest..
Paris Saint-Germain are now very close to breaking the 19 year long wait for a league title. But since Marseille won their match last Saturday, it means that PSG can not secure the league title tonight. It is however almost certain that PSG will win the league if they win tonight. PSG has a fantastic goal difference which is +41 and that is 34 goals better than Marseille. Ancelotti has announched this week that Zlatan Ibrahimovic and PSG must take the game just like any other. The team should remember what comes next weekend, if PSG do not play the way everyone knows they can. – Nothing is clear if we win tonight, even though it looks really good, I tell my decision a little later. It looks like we have to wait another week or two until we can get some information on the future for Ancelotti. The last league match was once again a weak effort by PSG and again it was against Evian. Paris Saint-Germain was eliminated from the cup by Evian just 2 weeks ago. The loss against Evian in the cup caused some problems in PSG. There was a lot of fans that were dissapointed on the loss. In the league however Paris Saint-Germain managed to get themselves a 1-0 victory, but it was an expensive win. During the game Verratti got a red card, Beckham came on in the second half and only needed ten minutes before the referee showed the red card to Beckham. After the match a fight broke out and there was a lot of talk about Sirigu would get a 8 match ban. This week French football league’s disciplinary committee came out with the ruling and Verratti and Sirigu got a two match ban and Beckham got a one match ban. In the game against Evian Zlatan Ibrahimovic also had a big chance which he missed completely. Nothing else than a win will matter for PSG tonight. If Paris Saint-Germain manage to win they have more or less secured the league. This due to a goal difference of +34 against Marseille. There have been some discussion if Zlatan Ibrahimovic will play tonights game. Ancelotti has today reassured the fans and confirmed that Zlatan Ibrahimovic will play on Sunday night. This entry was posted in Paris SG on May 5, 2013 by Johan Bengtsson. Pierre-Emerick Aubameyang has previously been surrounded by rumors about different clubs. One of the clubs mentioned as a big candidate to get Pierre-Emerick Aubameyang’s signature has been Paris Saint-Germain where Zlatan Ibrahimovic plays. The reason for the many rumors is that Pierre-Emerick Aubameyang, 23, has taken the French Ligue 1 by storm. Saint-Etienne’s Pierre-Emerick Aubameyang has been linked with a move to Paris Saint-Germain after his 19 goals, but he himself gazing southward. – I have loved La Liga since I started playing football, he says. He may pursue a hopeless quest for Zlatan Ibrahimovic in top scorer (Zlatan has a total of 27 goals) but with 19 goals to his name this season has been Pierre-Emerick Aubameyangs big break. Now it seems almost certain that the star leaves in summer and himself chooses to leave more doors open. – I have loved La Liga since I started playing football. But I have no preference regarding my future. Everyone knows English football. Bundesliga might be a good destination, he told Le Parisien. PSG rumors have pointed out that Aubameyang might be a potential target but Aubameyang himself is unsure if he is ready for such a venture. – PSG? Not necessarily, although they had made ​​contact. Paris is a big project. Could I be a part of it? Maybe one day, but I do not think so right now. 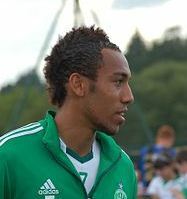 Aubameyang, who scored 16 goals last season, has three years left on the contract with Saint-Étienne. This entry was posted in Paris SG, Rumors on May 5, 2013 by Johan Bengtsson. 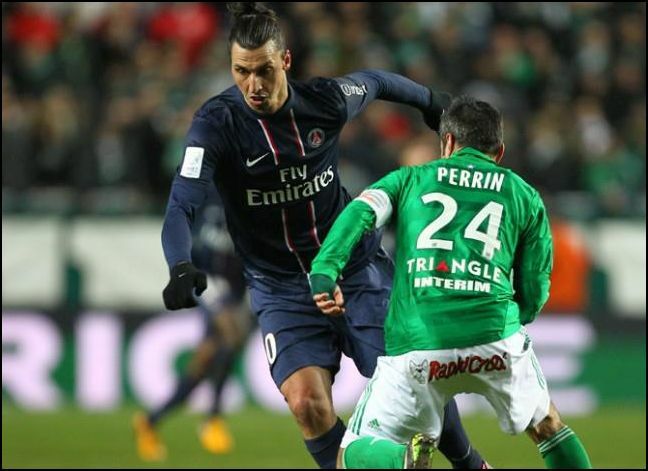 Video showing every goal Zlatan Ibrahimovic has done in Ligue 1 this season 2012-2013. This entry was posted in Paris SG on May 4, 2013 by Johan Bengtsson. Arsene Wenger rumors has frequently been mentioned lataly with Arsene Wenger as a possible replacement of coach Carlo Ancelotti. Previous indications has been that Jose Mourinho has been the first selection for PSG. However with recent comments from Jose Mourinho that he is not interested in taking over the coaching job PSG Arsene Wenger has now become the first option. That Carlo Ancelotti leaves Zlatan Ibrahimovic and PSG after this season seems almost totally clear. Ancelotti has made ​​it clear to PSG’s president Nasser Al-Khelaifi that he does not stay in Paris next season. The reason is said to be a split between the Italian and sporting director Leonardo. According to Le Parisiens sources, the club will sit down with Arsene Wenger alredy on May 6th. Now also the British newspaper The Telegraph reports on that Arsene Wenger is on the move to Paris. 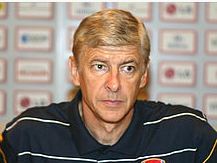 VIPs in Paris Saint Germain’s management has revealed that Wenger has already been persuaded, according to the newspaper. They have also said that they want Arsene Wenger already this summer. This would then be one year before the contract with Arsenal expires. Meanwhile, Arsenal will do everything in its power to prevent a move to Paris for Arsene Wenger. Arsenal is rumored to propose a transfer budget of €500 million to get Arsene Wenger to fulfill his contract, according to The Telegraph. Arsene Wenger has been at Arsenal for 17 years and previously said he has no plans to leave the club in the current situation. – First off, I do not know much about what has been said about me. I concentrate on the next game and the next season, he said after Sunday’s game against Manchester United. It remains to see what happends with these Arsene Wenger rumors. It however seems more and more that Arsene Wenger is the main candidate for the coaching job at PSG after this summer. Then we have to wait to see if Zlatan Ibrahimovic is still in the club after the summer. This entry was posted in Paris SG, Transfer Rumors on May 1, 2013 by Johan Bengtsson.